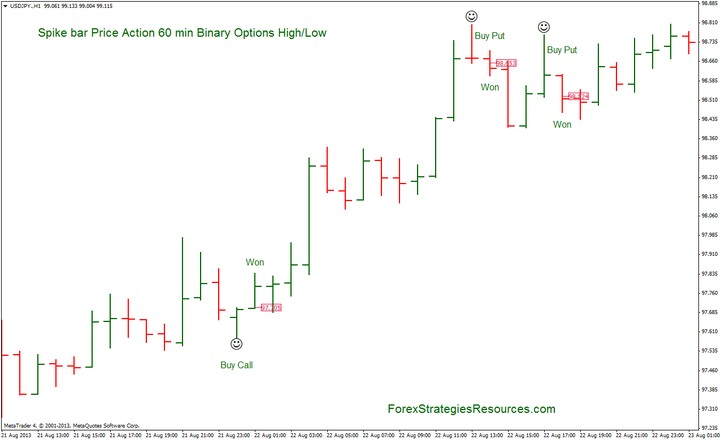 I have written this strategy and shared because more traders have made the request (60 min Binary Options Strategy) at the admin of Forex Strategies Resources. (I think that this Binary Strategy works good at the 4h and daily time frame ). 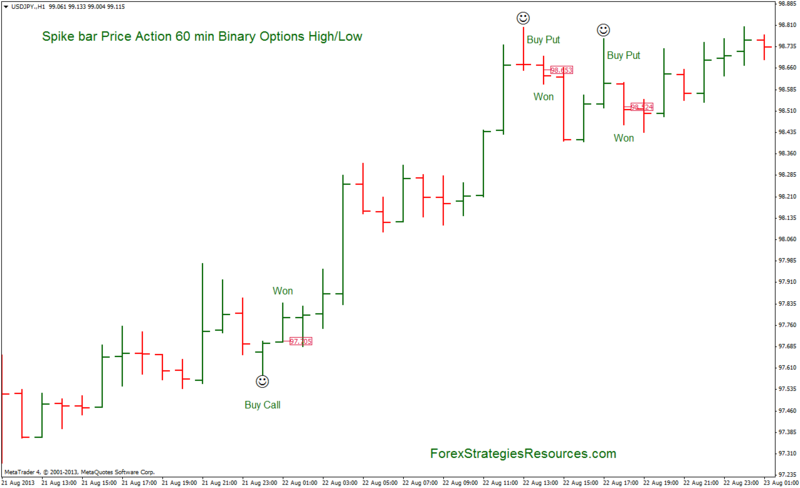 This Binary Options Strategy Price Action is based on the Spike bar pattern. This price action pattern strategy works also on the other markets. Time frame 60 min exiperes time 60 min. Time frame 240 min exiperes time 240 min. Time frame daily min exiperes time daily min. When the price action indicator paints a smiling face below the price of the spike candle place pending buy order at the next bar above the high of spike bar. When the price action indicator paints a smiling face above the price of the spike candle place pending sell order at the next bar below the low of spike bar. In the pictures below Binary Options Strategy: Spike bar Price Action 60 min Binary in action. 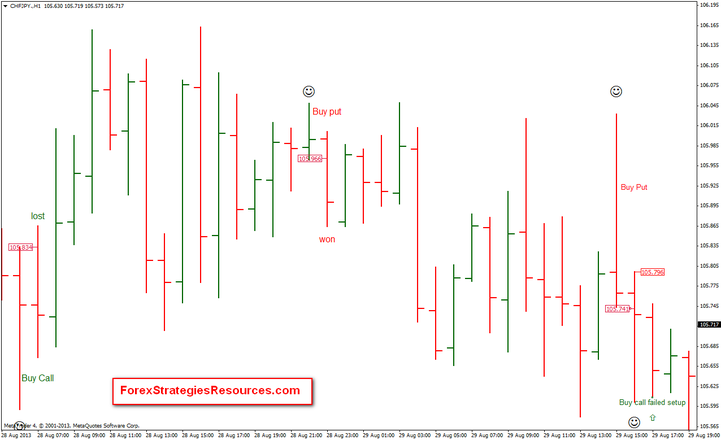 Pin Bar Detector is one the best Pin Bar indicator mql4. Can you send me the download for spike Strategy? I can not download compressed file archive. I need a zip file. Great strategy and simple to apply. However, What is the rule of Stop Loss and Take Profit for this strategy?